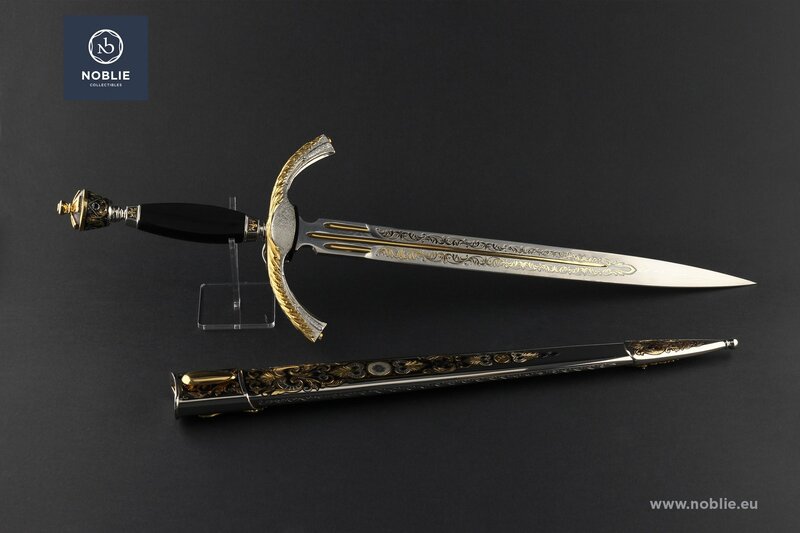 Blade of Stainless Damascus steel with gilded engraved ornaments on both sides. Handle. 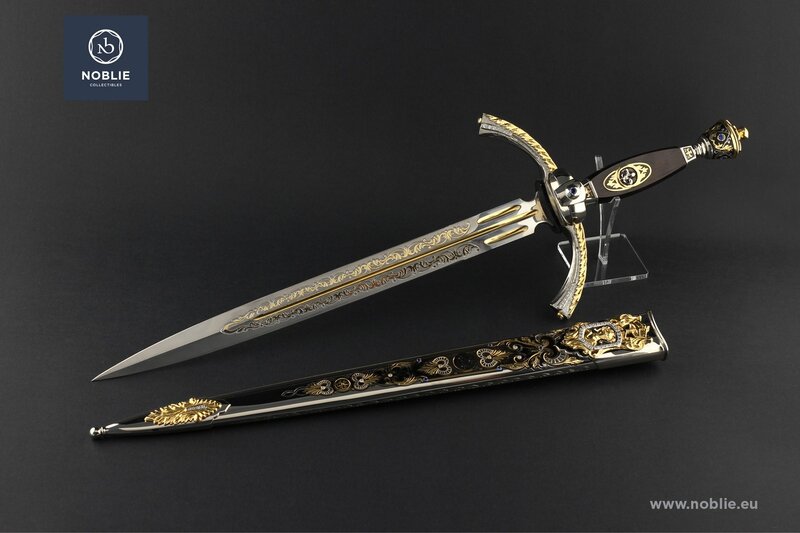 Made of assembled metal and wooden parts. Brass and then gilded guard and pommel. Nordic style of inward curved quillions with fine engraved and gilded ornaments. Fastened silver ring with gemstone on the cross guard. Locket in nickel and gold embedded on the grip of walnut. Fine engraved ornaments and additional inlay. 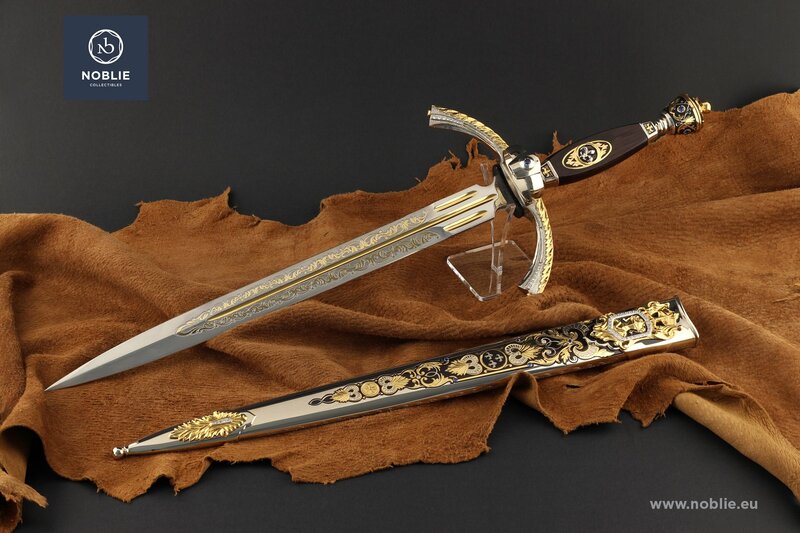 The scabbard is all-metal forged with decorative locket and chape. 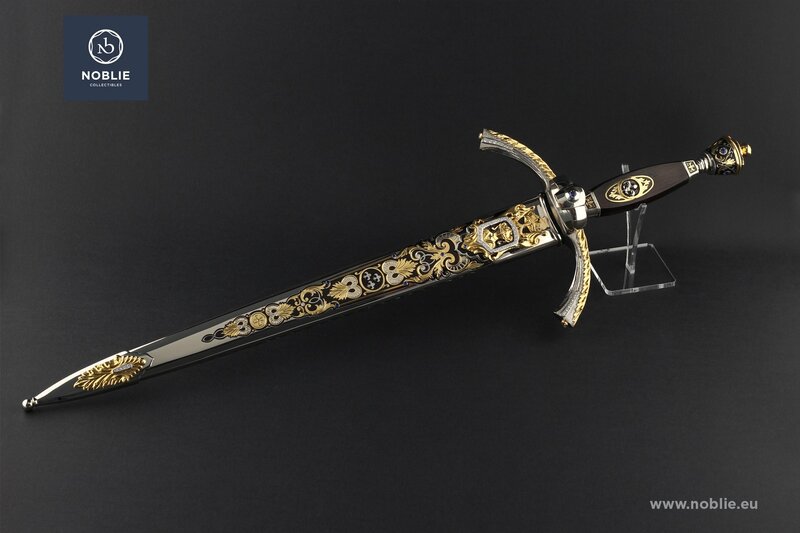 Magnificent decoration with engraved lotus and floral ornaments on both sides. Coat of arms of two upstanding lions, crown and a knight helmet depicted on one side of the locket. Gemstone inlay. 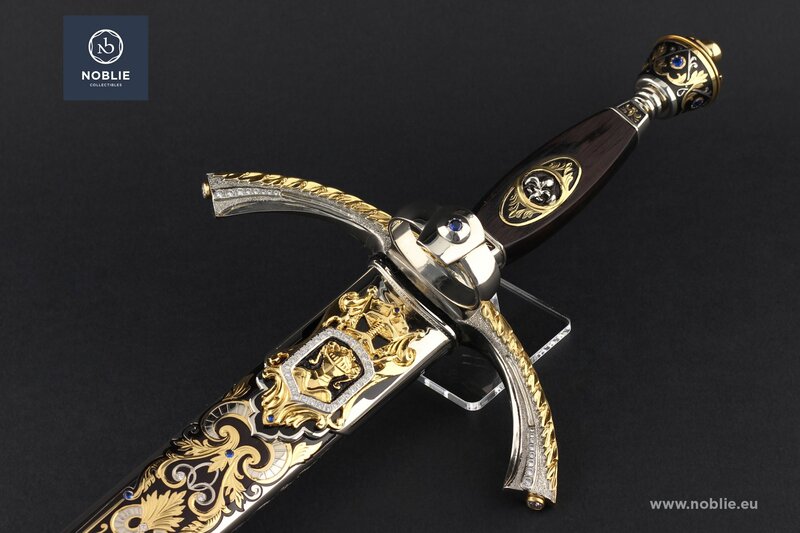 Collectible piece of knife making with dedication to the glorious acts.